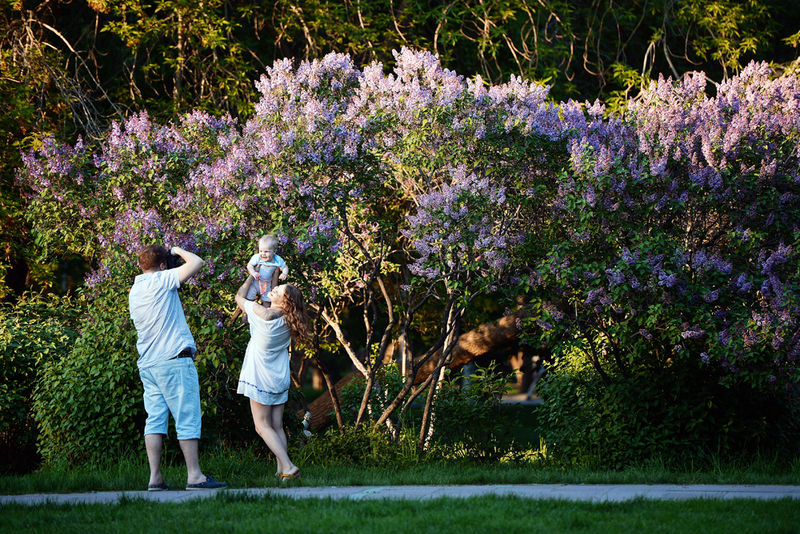 A family in the city of Novosibirsk. An increasing number of Russian families are affected with what experts are calling “child-centrism” – a special type of upbringing where all the interests of the family are subjected to a child. You can often see strange things on Russian social networks: You read, for instance, "Vasily Bolshegolovov, 40 years old," but the account photo shows a toddler in striped pants, while, say, Maria Obukhova, a housewife of 36, is represented by a bespectacled boy in an embrace with a dolphin. These photos tell us that all the thoughts and aspirations of these adults are focused on their children. Russian experts have diagnosed the new phenomenon as “child-centrism” and explain that this is a special style of upbringing in which the child is put at the top of the family's value hierarchy. "Childhood is understood in Russia as an absolute value, which becomes a source of exclusively positive emotions and experiences," Veronika Turgel, associate professor of the Institute of Childhood at the Herzen State Pedagogical University of Russia (RGPU) told the Ogonyok magazine. Russia came to the religion of child-centrism through a winding path of its own. The degree of detachment from children that was cultivated in Russia after the 1917 revolution was to be many steps ahead of that of the Middle Ages. The first women in the government assumed that people should take their children on to children's communes like honey bees – to "liberate women from the slavery of motherhood." Pretty soon it became clear that this was economically disadvantageous. So there emerged a special militarized system of education, copying adults' paramilitary associations and leaving no choice to the parties involved. "The family was a fundamentally hostile element for the Soviet state," said Oxana Kuchmayeva, a professor of the National Research University at the Higher School of Economics in Moscow. The attitude to a child in the USSR changed in accordance with what was required for the state at the moment. For example, the Soviet government was the first in the world to legalize abortion in 1920 (for comparison, the U.K. and France did so in 1967 and 1975, respectively). But in 1936, ahead of the infamous census showing a catastrophic decline in the birth rate, criminal liability for abortion was introduced. It was announced that "abortion is an evil legacy of the order when a person pursued his or her narrow personal interests, rather than lived a collective life." The statistics are striking – in the first half of 1936, 43,600 abortions were performed in Leningrad hospitals, and just 735 after New Year. All this bore fruit. It is said that when the Soviet Union introduced the second day off in 1967, many women were dissatisfied. Firstly, their husbands used to drink once a week and now they drank for two days, and secondly, it was unclear what to occupy the children with for one more day. So women asked to restore their right to take children to schools and kindergartens six times a week. New times and new economic realities have changed both the family and the attitude toward children in Russia, where the share of families with one child accounts for 60 percent of all families with children. The child has become a source of investment – many families have begun to pin their hopes on their offspring for the financial well-being of the family. She noted the appearance of a number of “rather cynical” works that provide calculations of the number of investments in the child, the parents' lost revenue – because the mother usually gives up a career – and the returns that a child can bring. “Economists have tried to find out what is more favorable for society – when parents restrict themselves and invest all their funds in the child or, on the contrary, develop themselves and pass on ready capital to the child? They failed to provide an unequivocal answer to this question,” said Kuchmayeva. At the same time, child-centrism has become the religion of a vast number of single-parent families, and every seventh child in Russia is growing up in such families. It is child-centrism that often becomes a light in the window, turning a child into an object of worship and leading to startling teaching experiments. According to Turgel, this style of upbringing “paradoxically combines conflicting desires and hopes in parents' heads." For example, the Russians want to raise children obedient to the system – so it is safer for them. But, at the same time, said Turgel, they are eager to teach children to develop all the possible skills to give them a free choice in life.